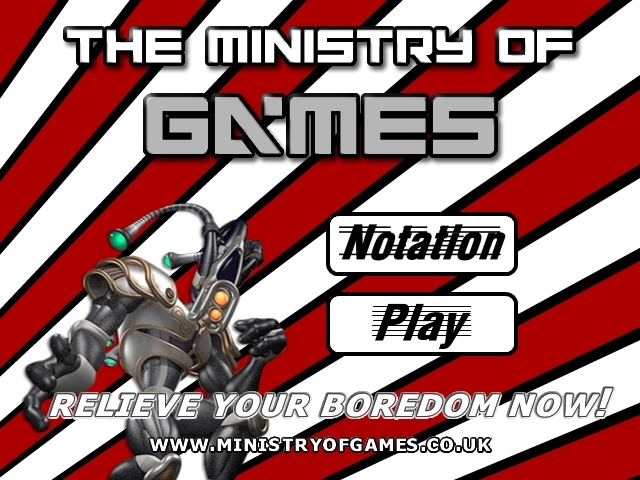 Notation is a new musical chain reaction game developed by Wigs Games. 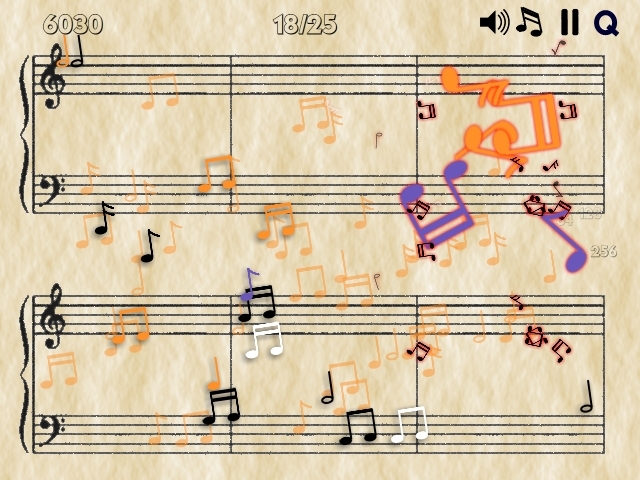 Use the mouse to play a note, watch and listen to the chain reaction you create. 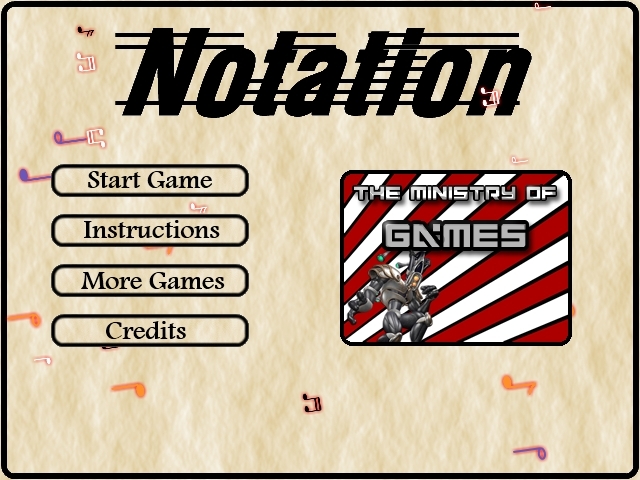 At the end of the game (after level 10) the notation you’ve created is played back to you. 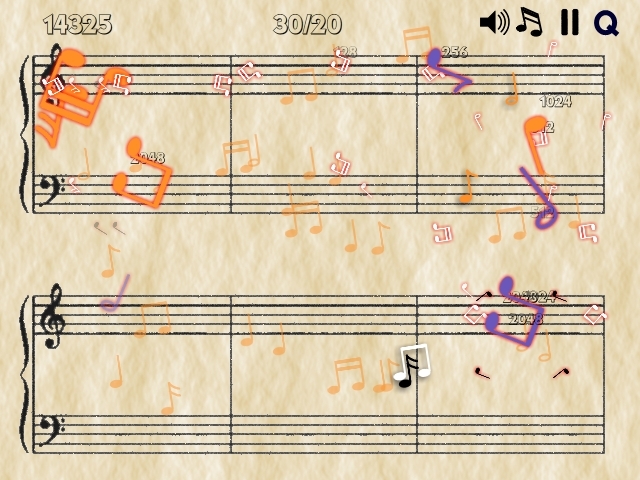 Purple notes will expand, and play other notes they touch. 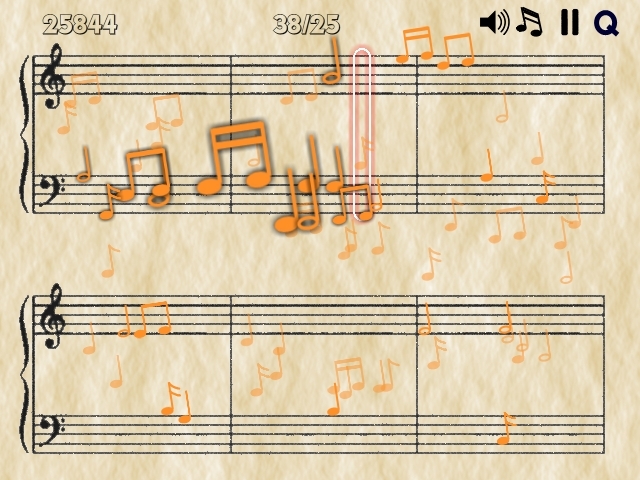 Orange notes also expand, and will then add to your unique musical notation. 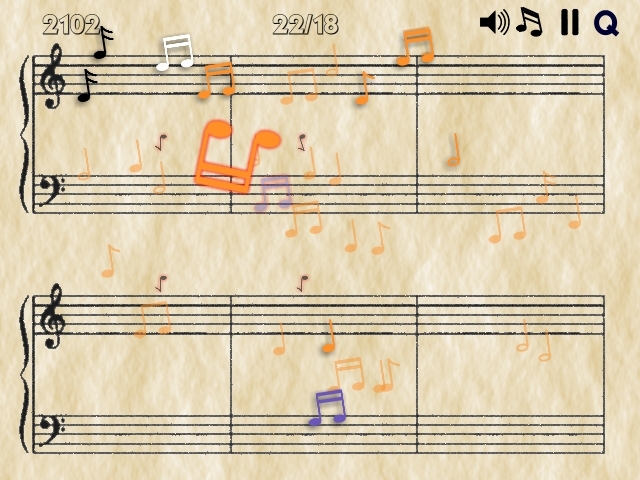 Black and white notes will shatter into multiple mini-notes, triggering notes which they touch. Please contact us if you wish to discuss licensing a site-locked, customised or advert free version of Notation for your website.